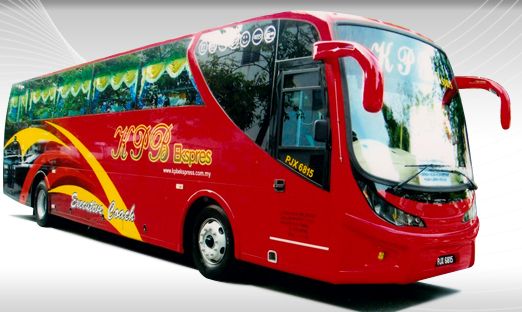 Konsortium Pelancongan Bumiputera (KPB) Express is one of the most popular bus company based in Butterworth. They provide express bus service with experienced and well-trained work force to provide passengers the safest, most comfortable journey. KPB buses have a reputation of leaving and arriving on scheduled time so customer have peace of mind knowing the bus they are traveling in is punctual. 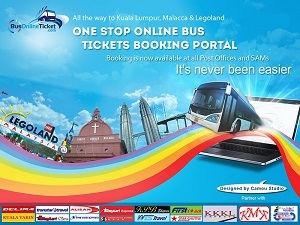 The company is operating bus services from Butterworth Bus Terminal to many cities around Malaysia, including Kuala Lumpur, Shah Alam, Klang, Seremban, Johor Bahru, Masai, Melaka and Ipoh, at affordable and reasonable price. KPB Express group also manages Supernice (Grassland) coaches to provide bus service from Butterworth to Singapore and to Johor Bahru. Grassland coach is highly designed by professional specially for Grassland only. Grassland has invested more than 2 hundred over thousand to improve the comfort & safety. Spacious seat ,especially for leg room spacing where leg can be straighten, and adjustable. The foot resting is also specially designed to give a better and comfortable support. Morever it can operated to individual requirement. It gives a smooth, comfortable, not noisy & very relaxing feeling throughout the whole journey. And the passenger’s entrance door equip with an additional one step lower staircase for convenience of age people or all passengers.